Our famous Sunset ‘Punch’ Lucky Dolphin Cruise is a guest-favourite and comes highly recommended. 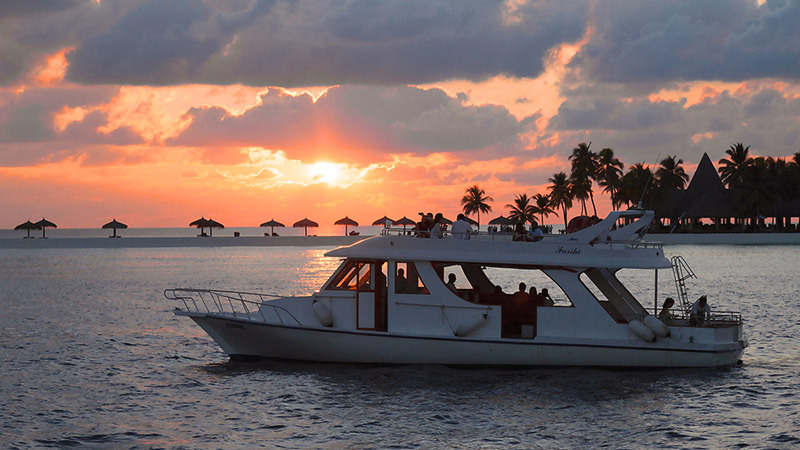 This Maldives cruise is indisputably the most scenic one! Enjoy a late afternoon aboard a Dhoni, soak in the beautiful tropical sunset and, should you be lucky enough, witness a pod of playful dolphins! Celebrate your trip with a glass of special punch, prior to departure. Kindly note that all children under the age of 16 must be accompanied by a parent.